Zurich - Jacques Aigrain, the head of Swiss Re, the world's second largest re-insurer which suffered huge losses in 2008, has resigned his post, the company announced Thursday. He will be succeeded by current deputy CEO, Stefan Lippe. Lippe, a German national, has been with Swiss Re for 25 years. Earlier this month, the re-insurer said it had managed to raise capital, including a 3 billion-Swiss-franc (2.58 billion dollars)- investment from US financier Warren Buffet. The group was considering taking another 2 billion from other investors. The capital was needed in light of losses over 2008 reaching a whopping 1 billion francs, with the company now struggling to maintain its AA credit rating. 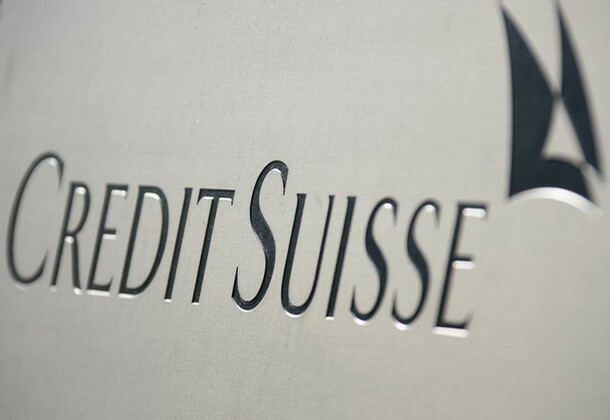 Zurich - Credit Suisse, the second largest Swiss bank, announced Wednesday it had suffered a net loss of 6 billion francs (5.2 billion dollars) in the fourth quarter of last year, owing to bad trades and restructuring costs. This made for a larger-than-expected net loss of 8.2 billion francs for the whole of last year, compared to a profit of nearly 7.8 billion in 2007. Already in December, the bank said the two previous months had brought losses of 3 billion francs. Geneva - Next month's Geneva Motor Show is expected to be a little more upbeat than the gloomy Detroit event in January, where manufacturers displayed their cars on poorly-lit stands or stayed away altogether. Analysts expect car makers to showcase "green" concepts during the show March 5-15 that will hopefully lift them out of the worst crisis in the industry for decades. The trend is toward electric cars, hybrid models, downsized combustion engines and smaller cars. Geneva - Scientists have again pushed back the restart date of the giant particle accelerator along the French-Swiss border by another six weeks, CERN announced, saying even this schedule was "tight." By September, the Large Hadron Collider (LHC) should be operational again with particle collisions set to take place about a month later, the announcement made late Monday said. The LHC, operated by the European Organization for Nuclear Research - known by its French acronym CERN - has been turned off since September last year following a malfunction which caused damage to integral parts just about a week after the first experiment. Lausanne, Switzerland - The Court of Arbitration for Sport (CAS) reduced the lifetime ban for doping offences imposed on Austrian nordic skiing coach Emil Hoch to 15 years Tuesday. Hoch was the trainer of the Austrian cross-country ski team at the 2006 Olympic Winter Games in Turin when the team9s accommodation was searched by Italian police and medical items which could be used for blood doping and blood manipulation were found. The Liechtenstein national was subsequently given a life ban by skiing's ruling body FIS for possession of a prohibited doping method and assistance/complicity in doping. Red Cross warns Zimbabwe past "worst case scenario"
Geneva - Warning that the cholera crisis in Zimbabwe had surpassed the initially estimated "worst case scenario," the International Federation of Red Cross Societies said Tuesday that it was also concerned the outbreak would spread more aggressively to other countries. "We have reached more than the worst case scenario for Zimbabwe," said John Roach, the head of the IFRC's Africa division, noting that the number of suspected cases was on the verge of the 70,000 mark. Geneva - UBS, Switzerland's largest bank, announced restructuring plans on Tuesday after reporting losses of 8.1 billion Swiss francs (6.9 billion dollars) in the fourth quarter of 2008. The bank's total 2008 losses amounted to more than 19.6 billion francs, going beyond the expectations of many analysts. The bank said it would cut an additional 2,000 jobs at its investment wing. "UBS has had an encouraging start to the year," the bank reported in a statement, saying that it had positive net new money. "However, financial market conditions remain fragile as company and household cash flows continue to deteriorate." Geneva - Though the biggest issue of Sunday's Swiss referendum was the open market and free movement agreements with Europe, other issues were also at stake, including a proposal to scrap a unique tax break for wealthy foreigners in Zurich. Local media reported Monday that some 53 per cent of voters in Zurich, the financial hub of the Alpine country, voted to do away with a system that enabled wealthy foreigners to pay taxes as a lump sum, based on their home expenses and not their income. Geneva - China received praise Monday for economic growth, during a United Nations review of the republic's human rights record, but also came under criticism for conditions in prisons and limited political rights. The criticism, largely from European nations, focuses on religious freedoms, allegations of torture, use of the death penalty for those convicted of even non-violent offenses and the rights of minorities. China, the most populous country with the world's third largest economy and a member of the Security Council, said it had unique governmental, judicial and criminal systems that other nations needed to respect. Geneva - Swiss voters overwhelmingly supported a government- backed motion to extend cooperation with the European Union in a referendum on Sunday. 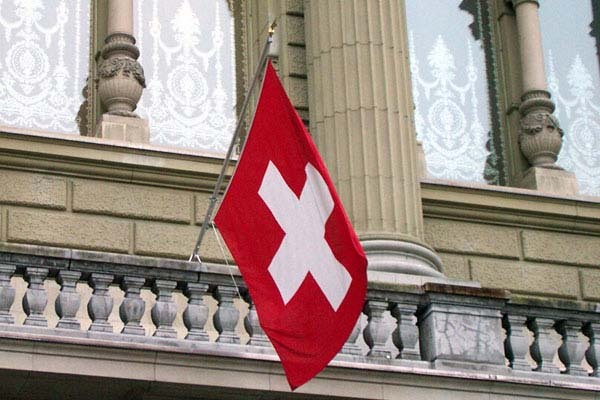 Geneva - The Swiss will head to the polls Sunday to vote in a referendum on free movement and access for European Union citizens to their labour market, and will have to decide whether to open up Switzerland to Romania and Bulgaria. The latest polls indicated that the government backed motion will likely pass and voters will extend the existing deal with 25 European states and allow in the two new EU members, but only by a slim margin. Geneva - The United Nations' World Food Programme said Friday it had very limited access to the conflict zone in northern Sri Lanka and had not been able to deliver aid for weeks. A four-hour humanitarian "window" was supposed to be opened each Thursday, but the agency has not been able to send in food aid since January 16, said WFP spokeswoman in Geneva, Emilia Casella. Geneva - Swiss Re, the world's second largest re-insurer, said Thursday it would accept a 3 billion-Swiss-franc (2.58 billion dollars)-investment from US financier Warren Buffet, needed in light of losses suffered last year. The investment, through Buffet's firm Berkshire Hathaway, would be "significant" the company said, and would help it maintain enough capital to keep an AA credit rating. Last year the company was expected to have suffered losses about 1 billion francs. 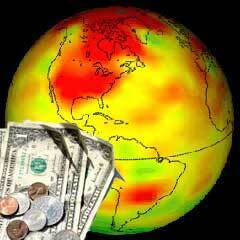 The investment needs to be approved by Swiss Re shareholders. 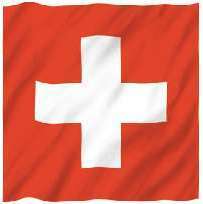 Geneva - The Swiss set a new record for themselves, exporting in 2008 some 17 billion francs' (14.7 billion dollars) billion francs) worth of watches, a report released Tuesday said. While this was an increase of over 6 per cent compared to 2007, the Federation of the Swiss Watch Industry warned that the final months of last year saw a 7.8 per cent decline in exports, as the financial crisis began to be felt across the real economy. This year, the association said, will begin in the red, continuing the trend, though the highest end timepieces were holding steady through the initial phases of the crisis. Geneva -The United Nations opened its fourth session of the Universal Periodic Review in Geneva on Monday, which will see 16 countries over the next two weeks have their rights records checked and critiqued. The UN's Human Rights Council, established in 2006, set up a process so that each member state of the international organ will be reviewed once every four years on its human rights policies. Governments, including of the country in question, the UN and non-governmental groups provide their take on each state's record, and then a body of the Council issues a report with its recommendations. According to Bloomberg news service, the World Economic Forum in Davos, Switzerland, had Abode CEO Shantanu Narayen talking to reporters about Abode working with Apple, for developing a Flash version to run on the iPhone. Narayen also added that it is no mean task – and, the company has been striving for months! Davos, Switzerland - The World Economic Forum will launch in the upcoming weeks an initiative to focus on reshaping the global financial systems, its founder Klaus Schwab announced Sunday in the closing hours of this year's Davos meeting. "We will start a Global Redesign Initiative in next few weeks," Schwab said in an impromptu statement. "It has the support of almost every political leader who was here" at Davos in the past five days, said Schwab, naming specifically UN Secretary General Ban Ki-moon and Chinese Prime Minister Wen Jiabao as backers. He said the upcoming meeting in April of the Group of 20 industrialized economies (G20) would not be enough to solve the global economic crisis. Davos, Switzerland - World leaders spoke out against protectionism in their speeches at Davos, warning that putting restraints on trade would only worsen and prolong the global economic crisis. But there were few signs that a sideline meeting Saturday of trade ministers from about 20 countries had managed to push ahead the long-stalled Doha Round of trade talks, meant to create freer markets. "Throwing out the baby with the bathwater is not right," said World Trade Organization Director General Pascal Lamy. "Trade is not the cause of crisis." Switzerland - In his address to the World Economic Forum Saturday, Japan's Taro Aso said his country was ready to provide 17 billion dollars in development assistance to Asian countries. "It is Asia that holds the greatest potential anywhere in the world," said the prime minister, noting that 40 per cent of world's population resides there and the region has an economic growth rate of about 4 per cent. 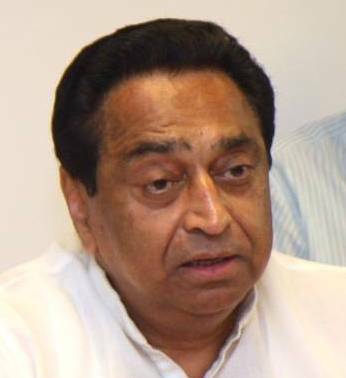 Davos (Switzerland), Jan. 31 : Union Commerce and Industry Minister Kamal Nath has stated that hope and aspiration in India is leading to social mobility and prosperity and these are the engines that are driving India's growth today. Speaking at a Breakfast Session on "Surviving the Meltdown and Brand India", here today, Nath said that Brand India will be sustained by millions of "new" consumers seamlessly and further added that India neither needs to export a large part of its economy to balance domestic demand and supply, nor does it need to import large amounts of capital to balance domestic demand and supply.